By the middle of the Civil War, Tampa began to feel more like a ghost town as many of the townspeople had moved more inland to escape the occasional bombardments by Union gunboats. These encounters originated in April 1862 and continued until May 1864, when the Union finally seized Fort Brooke and the town of Tampa. Of all the states in the Confederacy, Florida was one of the least touched by direct conflict throughout the war. Florida was mostly blockaded due to its long coastline and proximity to trade routes to the Caribbean. Early in the war, many in Florida were grateful that although the war had taken their men away, the war had not spread to their homesteads. In early June 1862, Tampa minister W. L. Murphy wrote that there was “little excitement or apprehension of danger…and God has blessed…the country with abundance and the necessities of life.” Murphy’s words were prophetic in that Tampa had only experienced one instance of harassment by the Union, but that soon changed. On April 13, 1862, the Union gunboats Ethan Allen and the Beauregard pulled into Tampa Bay, a precursor to the next several years which saw Union gunboats harass the small town and fort. The Union commander, Lieutenant W. B. Eaton demanded the unconditional surrender of Fort Brooke and allowed twenty-four hours to “remove all women and children to a proper distance” before bombarding the town. Although grateful for the generosity shown towards the citizens of Tampa, Confederate Major R. B. Thomas refused, and some of them were eager for the fight. Robert Watson, a member of the Confederate garrison, wrote that the “men gave three cheers at the prospect of having a fight,” and their reaction disappointed the Union sailors who assumed the Confederates would “look frightened and ready to surrender.” Despite the courtesies exchanged between the two sides, including the evacuation of women and children, the Union gunboats bombarded Tampa for two days with little to no effect before withdrawing. The Union returned to Tampa Bay on the morning of June 30 that same year, this time with a different gunboat, the U.S.S. Sagamore. As with the previous encounter, the Union ship, under the command of Captain A. J. Drake, sent a dispatch under a flag of truce to demand an unconditional surrender. The Confederates, now under the command of Captain John W. Pearson, met the party and Pearson himself rebutted the demand saying he “did not understand the meaning of the word surrender.” The Union party responded that the bombardment would begin later that evening at 6 o’clock. The shelling continued for the better part of an hour, and the Confederate artillery responded with rifle shot and 11-inch shell, according to a later report by Pearson. The bombardment once again forced the townspeople to withdraw further inland. These encounters with the Union Navy during the war led to Tampa being described as somewhat of a ghost town by those in the fort. The bombardments continued intermittently through July 1, and the Confederate artillery was unable to respond effectively as the Sagamore had moved out of range. The Sagamore withdrew, giving the Confederates another pseudo-victory. Once again, the damage done to the town and fort was miniscule to the point that the garrison soldiers enjoyed the action. A correspondent for the New York Herald reported that “some of the rebels would dodge behind the trees when the shells were fired, and after they had exploded would come out again, evidently much pleased at the exhibition of fireworks.” Overall, Fort Brooke was forced to repair a few artillery pieces that had been hit, but they had suffered no casualties. 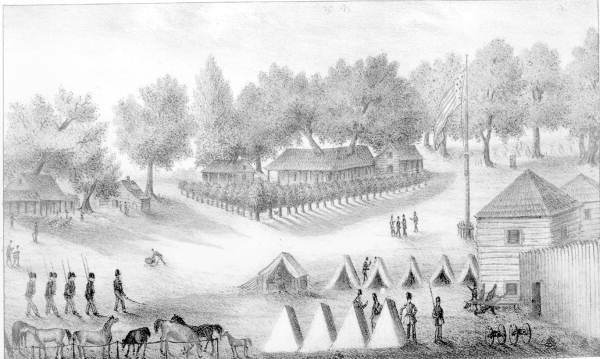 Encroachments by the Union Navy continued until May 6, 1864 when Fort Brooke and Tampa were taken by the Union, then abandoned for lack of strategic necessity. 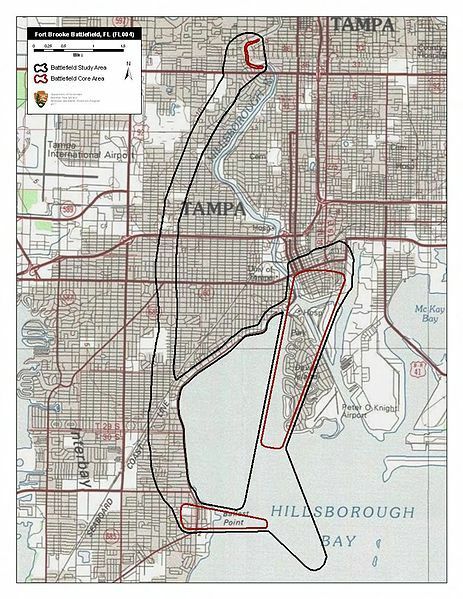 Aaron Lewis, “Battle of Tampa,” Tampa Historical, accessed April 20, 2019, http://tampahistorical.org/items/show/53.